Over here I asked about the source of the section headings in the Tur. In a comment it was indicated that the Tur himself assigned these headings. Was this a decision of the publishers, or did the author of the Shulchan Aruch (or some other Torah authority) decide to un-name this section? 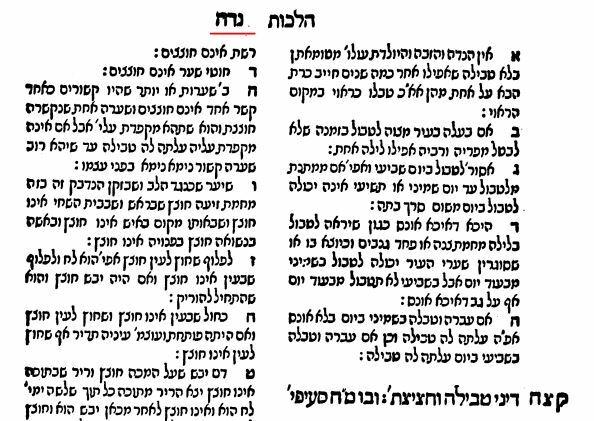 While most of the editions of Shulchan Aruch that I checked do not have Hilchos Tevillah as a new section, I did find two editions that do have it (images below). 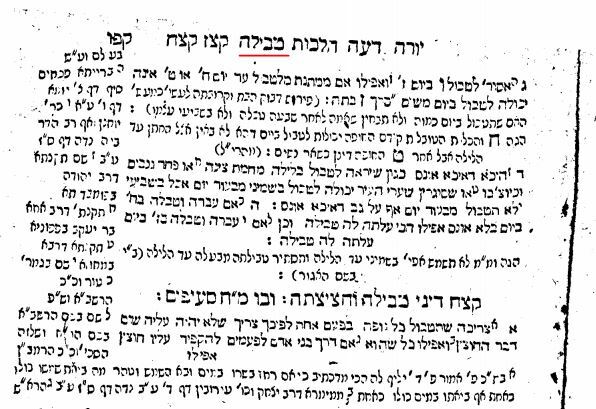 Interestingly, both of these editions do not have a title in the middle of the page stating that Hilchos Tevillah has now begun; it's only at the top of the page where the heading changes from Hilchos Niddah to Hilchos Tevillah. Also interestingly, the first example actually begins Hilchos Tevillah from Siman 198 rather than 197. This might point to the conclusion that some later printers added it in, perhaps to reconcile it with the Tur. Not the answer you're looking for? Browse other questions tagged history mikvah-ritual-bath niddah shulchan-aruch tur . 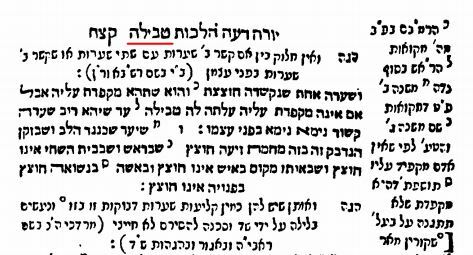 Who authored the topic - division headings in the Shulchan Aruch? Why isn't maakeh in the Tur?